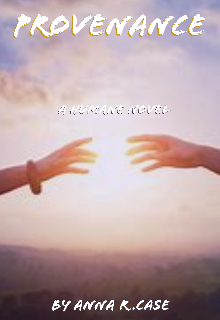 Description of the story "Provenance ( A Humane Novel) Book 2"
Eight months ago, 15-year-old shifter Mera Shayle fell into the hands of a family of hunters. Much has changed for Mera, after a life of abuse and torment at the hands of her father, she now tries to live a normal, stable life, falling harder for the blue -eyed hunter Talon Theron. But the past is not so easy to leave behind. So Mera must return to the place of her birth, to learn who she is, and how to control her gifts.Things are not as they seem in the idyllic town full of shifters. For in Valle Del Lagarto Mexico, the roots of corruption and dark dealings run deep beneath its pristine streets. The mastermind behinde this underworld is Mera's own grandfather Atticus Shayle. And the price to be paid for refusing to play Atticus's dark and twisted games, is the life of the boy Mera loves. Sharon Brooke, Will do:) Thanks for reading and commenting! Kath Snit, Thank you so much. I'm glad you like it! I'm actually writing book number 3 . I'm enjoying this book when is the next update. Annatjie Shikongo, I can update today :) Thanks for reading! Cira Shalash, Thanks. My app is glitchy so for some reason I cant read any updates to my books in the app. I have to do it through the browser only.So not sure if this is just a problem with me or others too. Ana Arrigo, Thanks for reading.! Glad you like it. Grace, So glad you like it! Thanks for reading and commenting. Nicole Preedy, I don't know if you have read the first part Humane, but I certainly suggest it before you read this one. Thanks for commenting.